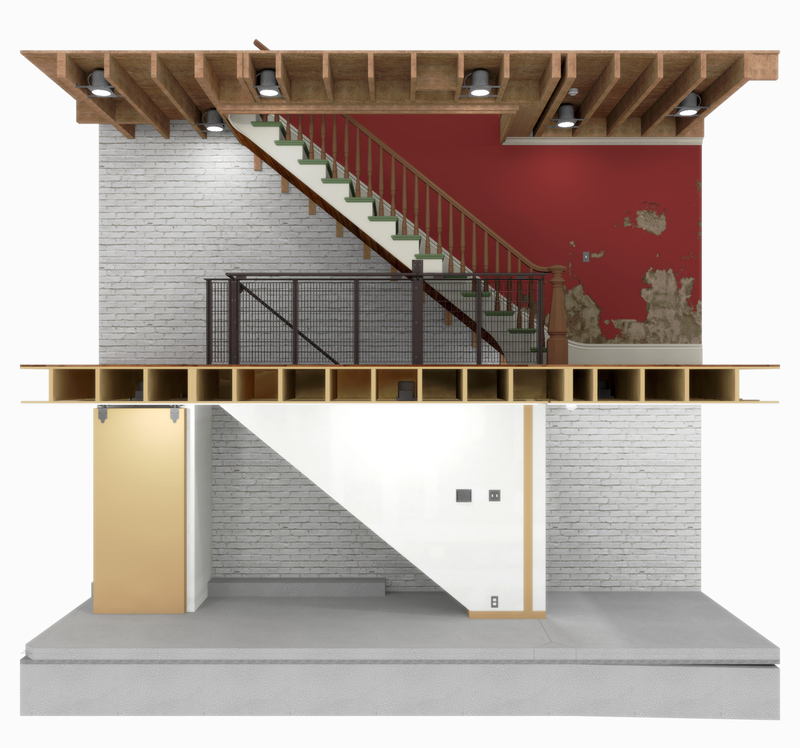 This is a component of a much larger residential project, the 2013-2016 renovation of a nineteenth-century masonry townhouse in Boston, Massachusetts. 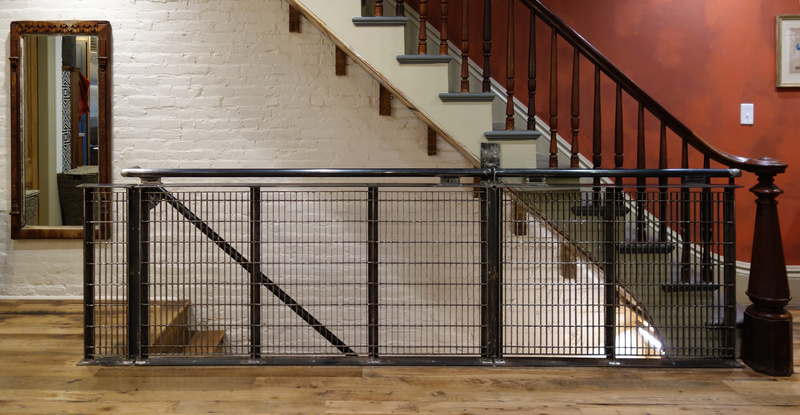 The dominant element of this guardrail and handrail assembly for a new stairway from the kitchen street level to the basement studio is welded bar grating, a mass-produced steel grid material commonly used in sidewalks and other foot-trafficked locations above shafts, for instance those that ventilate underground railways. 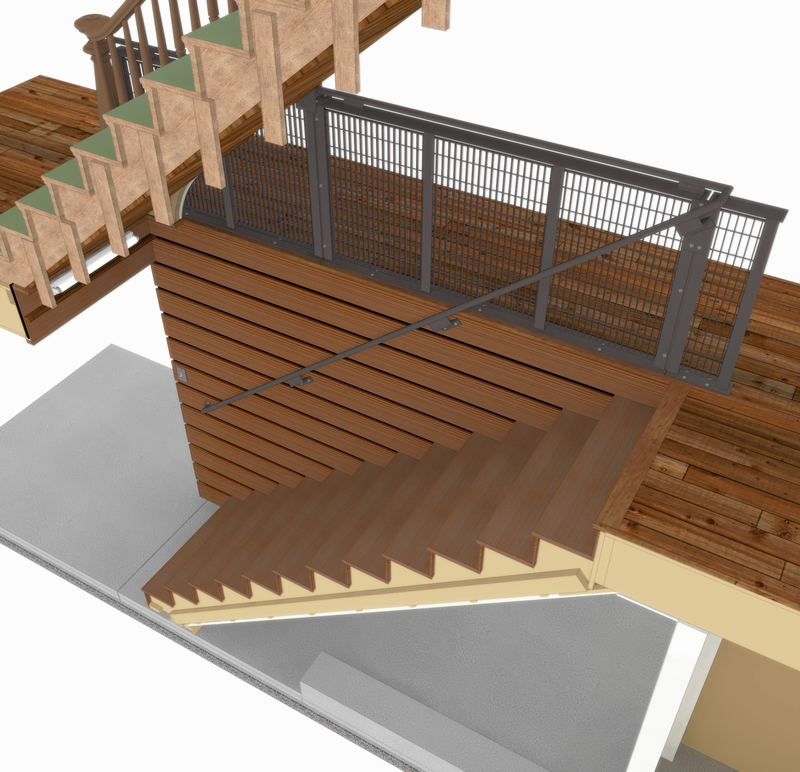 So the opening for the stairs to the basement is protected by a material usually used with subway systems…. 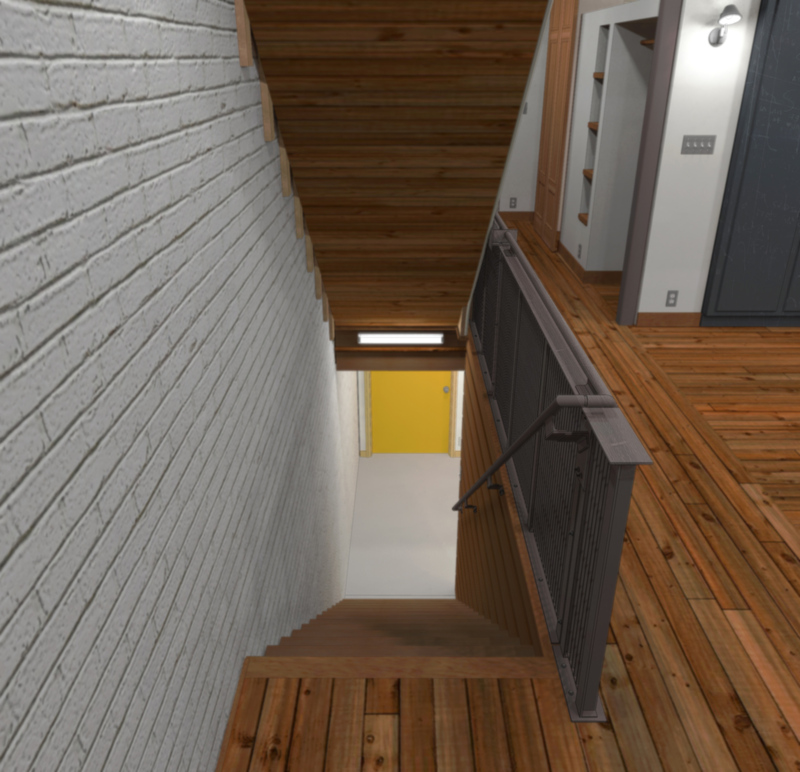 That pun-like value aside, I had another motivation for my design choice here: the re-purposing of a familiar, common material in a new situation, in an untypical context, attracts interest and even delight in the resultant architectural detail. 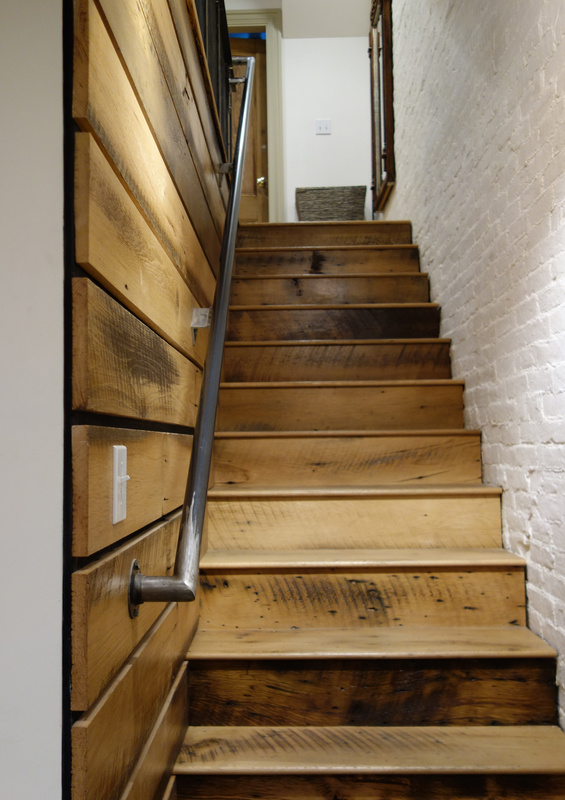 I don’t truly understand why this occurs, but it does: for instance, the building inspector (a native New Yorker) who signed off on the townhouse project recognized the material immediately and loved it. 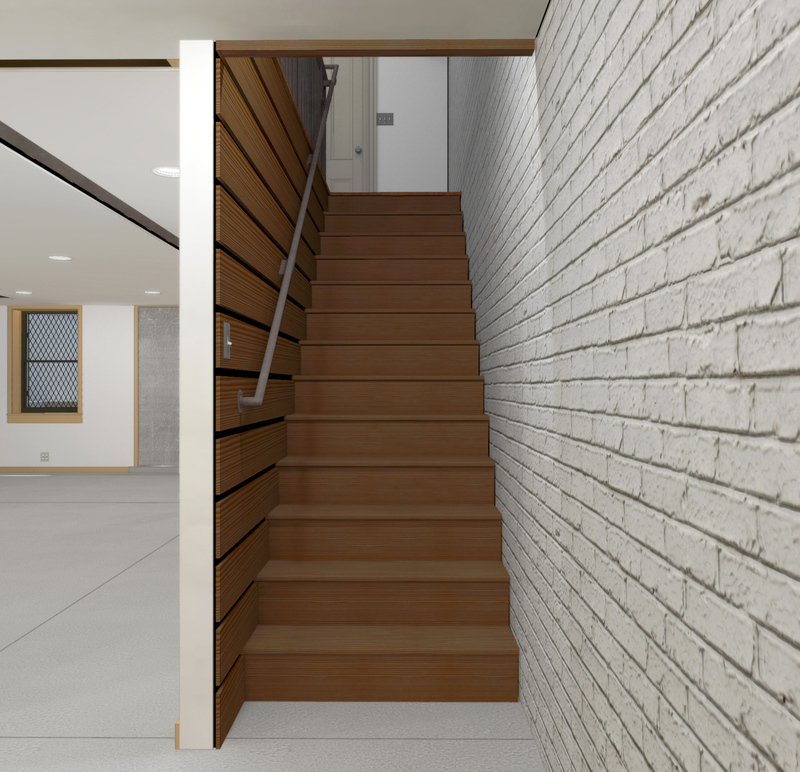 He has referred to the building as the “house with the subway grate railing” ever since and was extraordinarily helpful in wrapping up the permits associated with the greater renovation project. 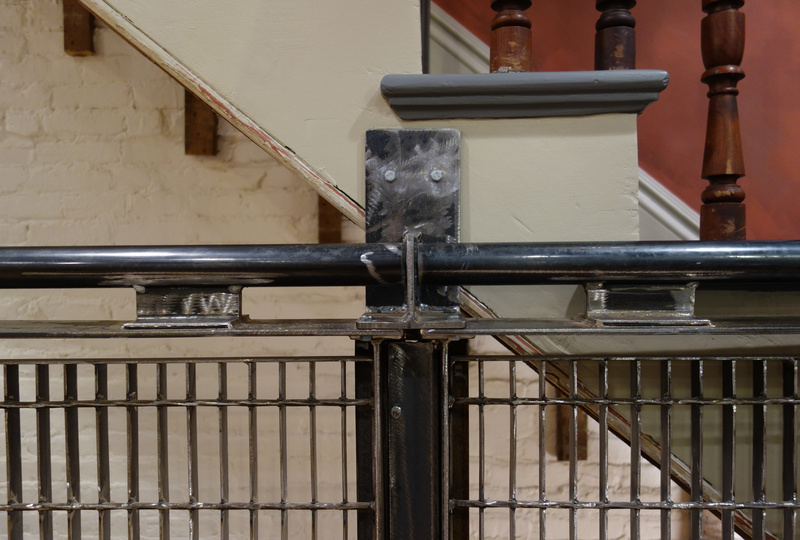 Finally (and perhaps this is so obvious it doesn’t bear mentioning) I also wanted to contrast the raw industrial steel against the second-rate varnished Victorian mill-work on the stair above and thereby draw attention towards my intervention in the historic fabric of the building. 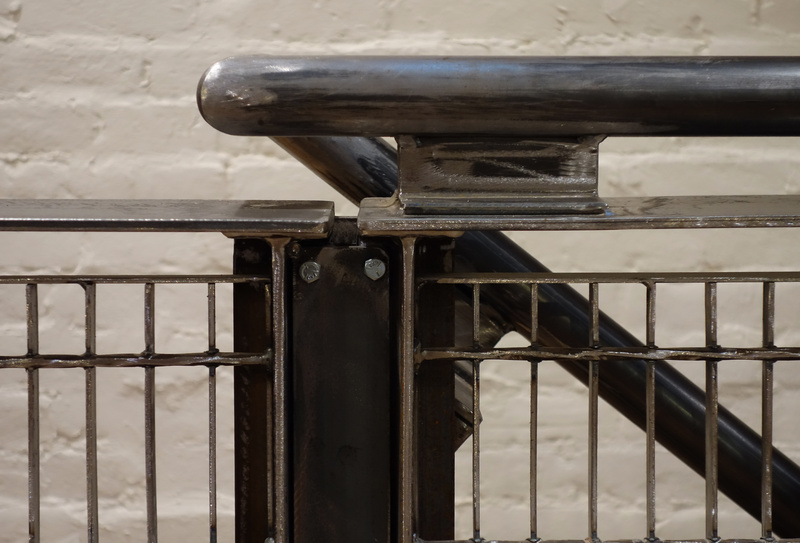 The handrail and guardrail was constructed entirely off-site to avoid the fire-risk of interior welding. 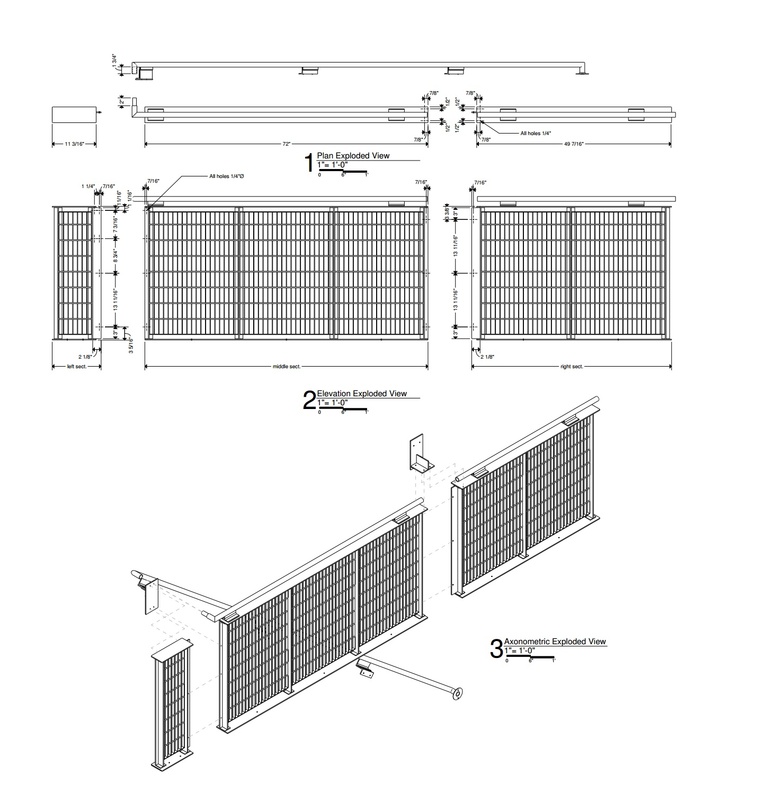 Installed, the full assembly consists of several discrete, demountable sections, fastened together and to the building structure with bolts; one person with a wrench can remove or reinstall it. 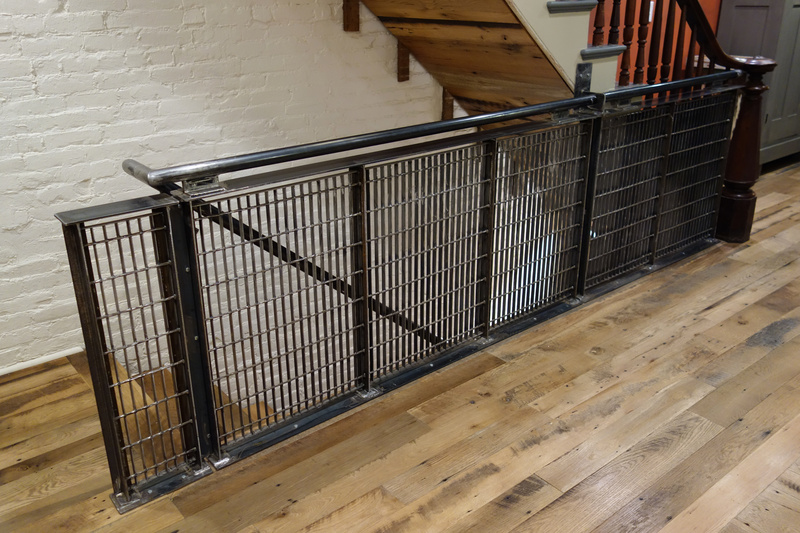 With the railing assembly removed, it becomes much easier to bring large loads like appliances up from the basement (which, above-ground on the south side of the building, opens onto the mews parking). 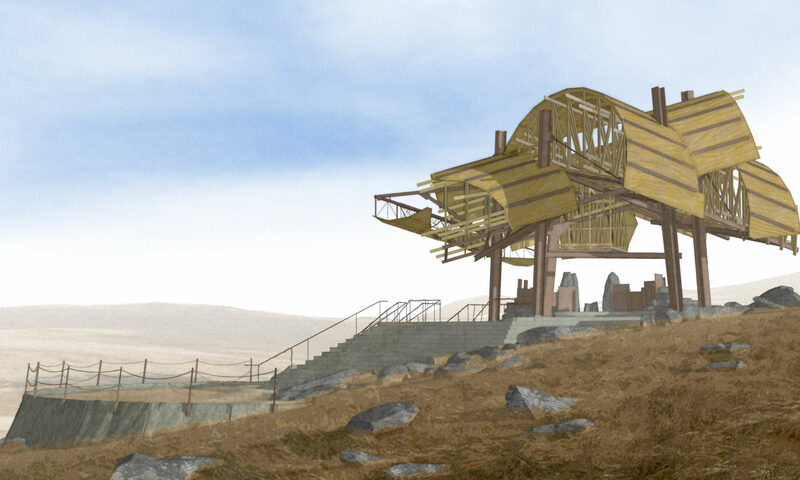 An attentive observer might notice minor differences between the guardrail in the rendering and the realized version. 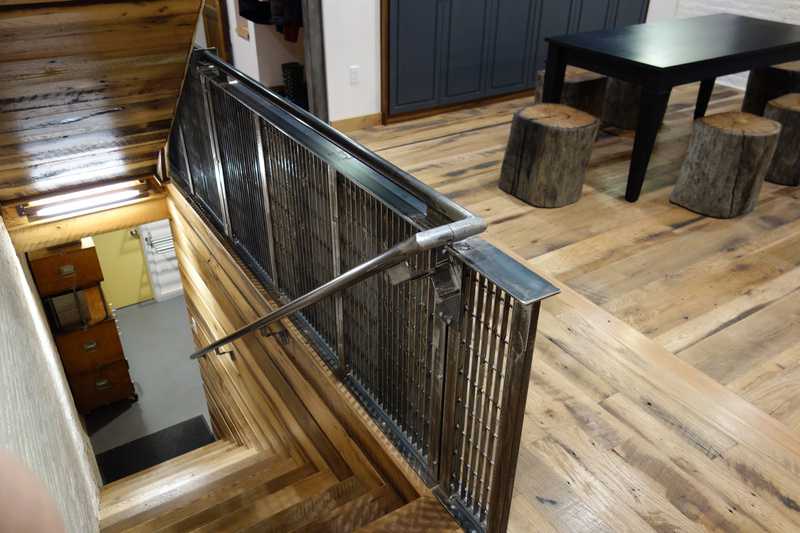 It proved to be very difficult to control the quality of the welded bar grating material, and the ironworkers and I had to settle for what we could get from the factory that produced it. 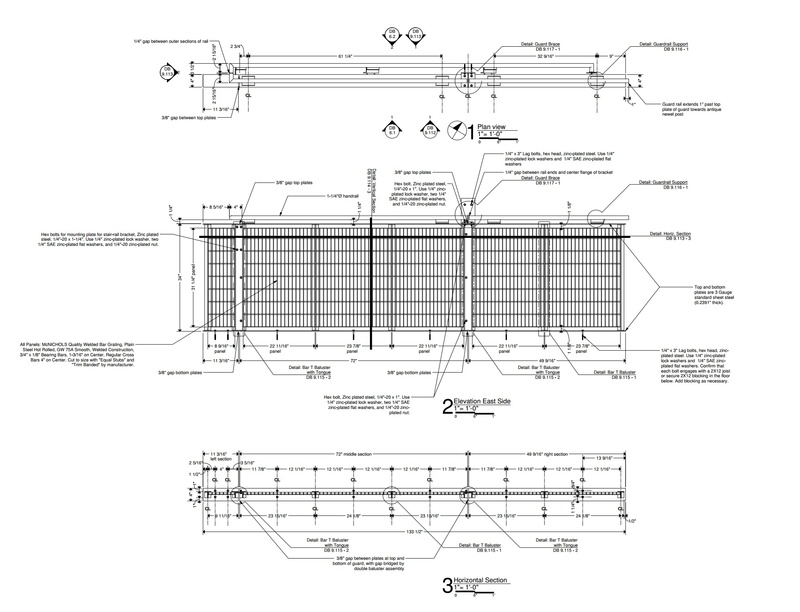 The grating was not, in the end, an inexpensive panel choice despite being a mass-manufactured industrial product, either: the welded intersections within the grating of the rectangular bars and rods were dangerously rough and jagged, at least in this application where fingers might be put through the grid; the ironworkers spent a great many man-hours grinding these metal splinters off every intersection.